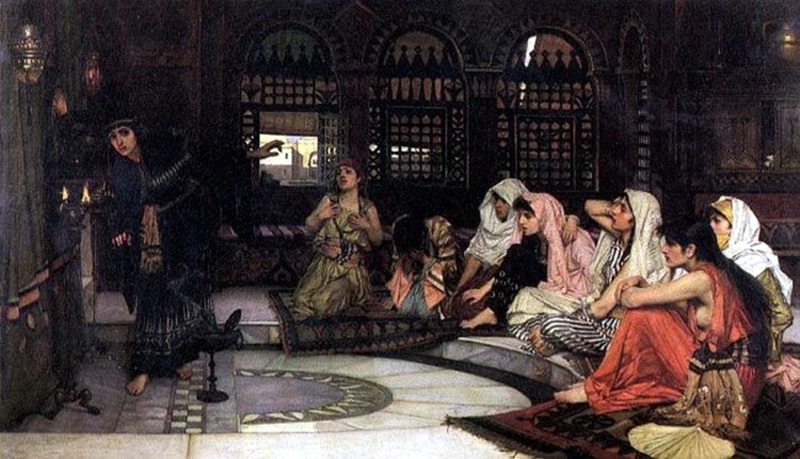 The prophecy of the Oracle of Delphi set the fate of Danae. 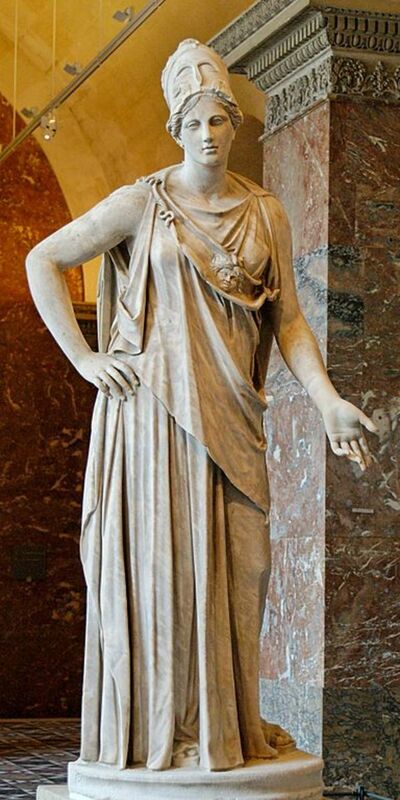 In Greek mythology, the lovely Princess Danae was the mother of Perseus, the legendary Greek hero. The parents of Danae were Acrisius and Eurydice. Acrisius was king of Argos, which was the major stronghold of an acropolis that included Mycenae and Tiryns. Acrisius' twin brother Proetus was king of Tiryns. From the time they were born, the twins were always fighting each other to become dominant and possess as much as possible, even if it meant the other lost all. Acrisius, having no sons, was in constant fear of Proetus inheriting everything. Seeking help from the Oracle at Delphi, Acrisius was not told what he wanted to hear, that he would have a son, rather, he learned that his own daughter's son would one day kill him. His daughter, Danae, had no children and was unwed. He wanted to keep her that way. Therefore, Acrisius had Danae locked up in a tower where no man could approach her and fulfill the prophecy. Now, this is where Zeus comes into the story. Having seen Danae, his desire for her kept him in fiery passion and consumed him. 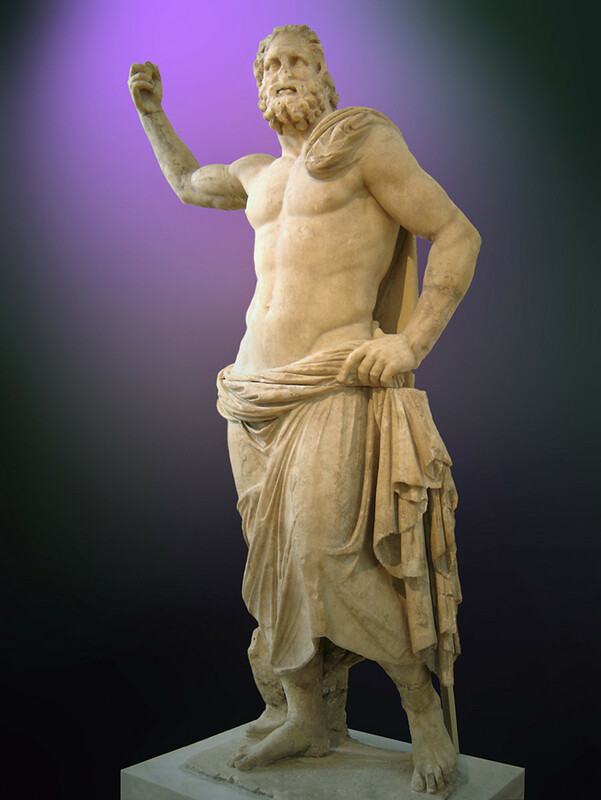 Zeus had a habit of fulfilling his desires in any way he could to get what he wanted. So, one night as Danae lay sleeping in the tower, Zeus transformed himself into gold dust particles, entered the tower from the open skylight above and impregnated Danae. Quenching his lustful desire, he then left the tower the same way he came in. Nine months later, Danae gave birth to a son. 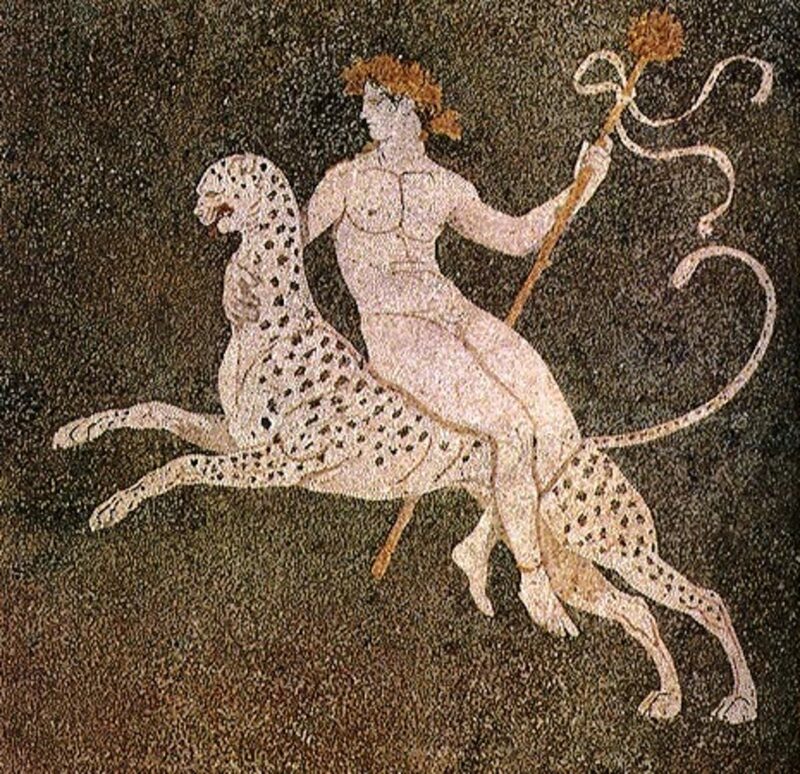 She named him Perseus. 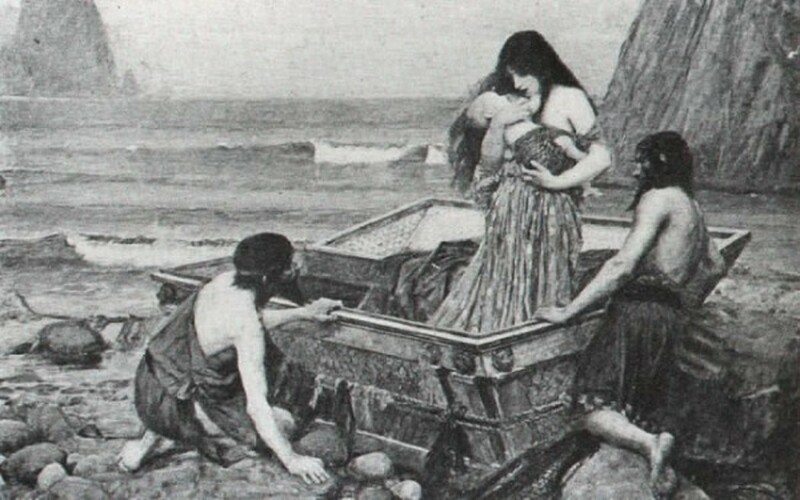 Acrisius, when learning about the child, would not believe that the god Zeus was the father, so he had Danae and the babe put in a chest and cast out to sea. This, he hoped, would break the prophecy when Danae and Perseus died at sea. Yet, once again, Zeus intervenes and asks Poseidon to calm the seas and guide the chest to safety. Danae and her babe are gently swept to the shores of the island of Seriphos in the Aegean Sea. Dictys, a fisherman, finds the mother and babe and takes them in. Dictys raises Perseus to manhood. The brother of Dictys was Polydectes, the king of Seriphos. When Perseus grew up, he was as poor as the fisherman, Dictys, who had raised him. He had no means and no weapons to protect his mother whom Polydectes desired her for a wife. Polydectes wanted Perseus out of the way so as to have access to Danae with no trouble and demanded ransom from Perseus to free his mother from marriage. 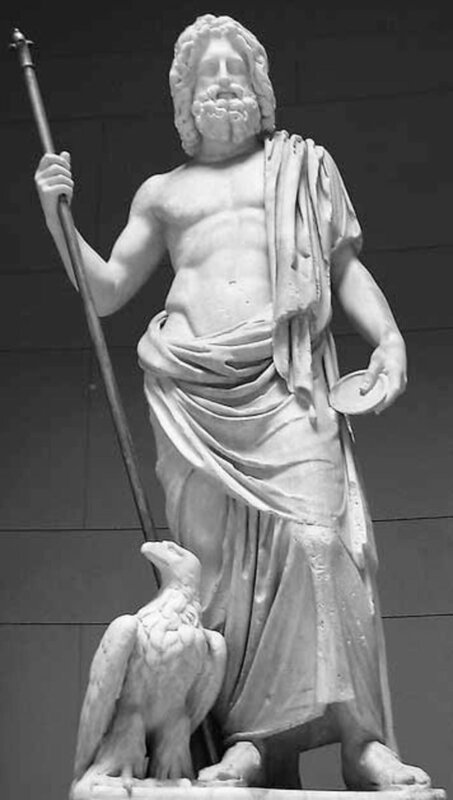 Since Perseus was not rich and, unfortunately, had no powers bestowed upon him from his father, Zeus, he had to find another way to save his mother from marriage to Polydectes and his evil grasp. Perseus, knowing he needed special weapons of his own to kill Medusa, went to Athena seeking help. Athena had a personal vendetta against Medusa, so was happy to help Perseus. Following Athena's instructions, Perseus received a protective sack for Medusa's head from the Hebrides, nymphs of the world ocean. From Zeus, he received a sword made of very hard material that cut swiftly and true. Hades gave Perseus a helmet of darkness which would make him invisible. Sandals with wings to enable him to fly came from Hermes, son of Zeus. Athena gave Perseus a shield of highly polished metal. 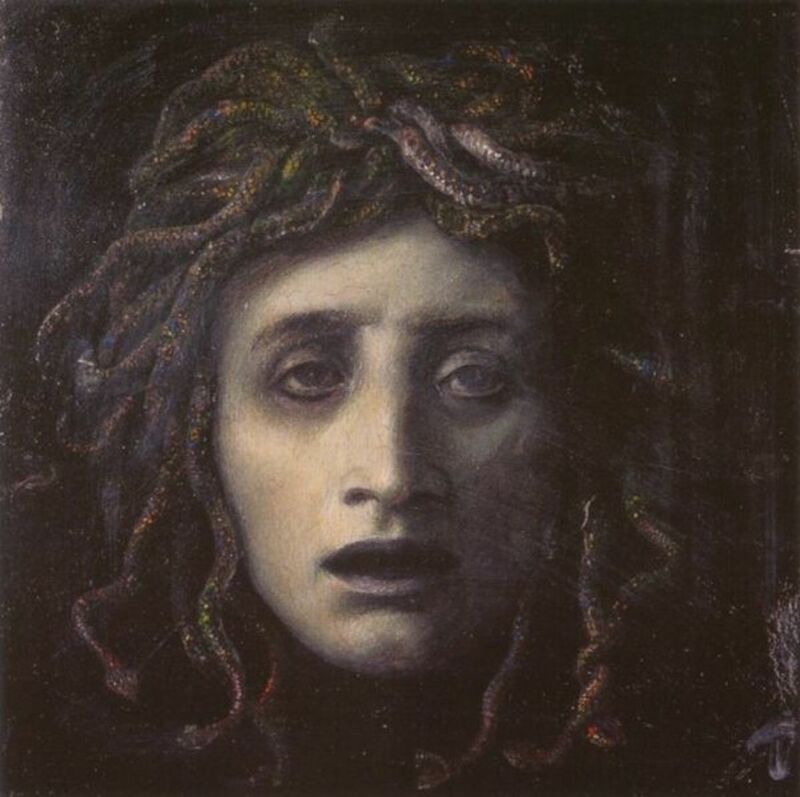 Now, before we follow Perseus on his dangerous journey, let us go back in time and hear Medusa's story. 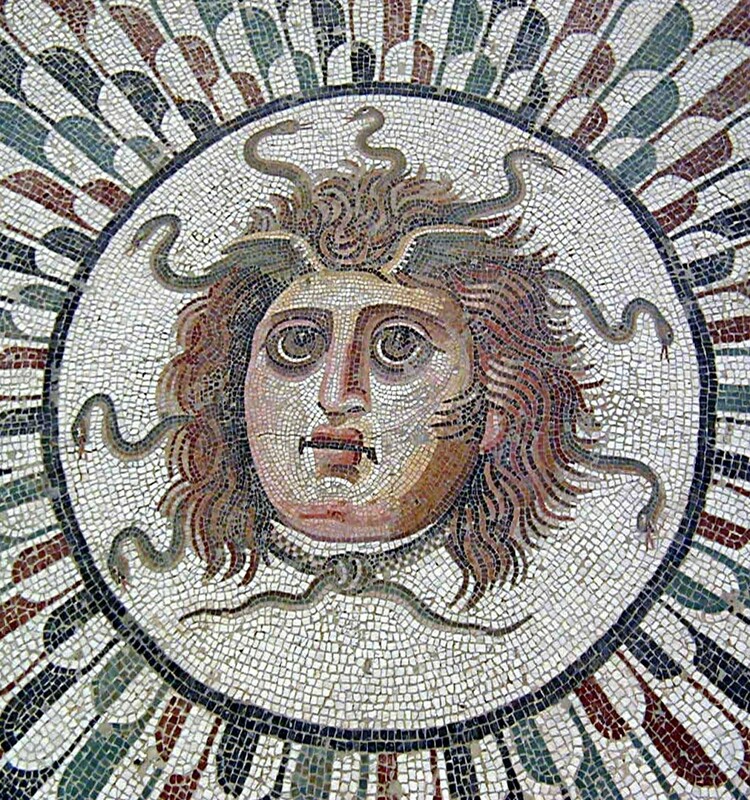 Medusa is portrayed as a hideous, grotesque and evil figure in mythology. With a head covered in snakes, and looking like a decaying corpse, men who looked upon her face were immediately turned to stone. Upon the island where she had been banished to, Medusa had a garden full of stone men who once came as heroes to kill her and take her powers. Yet, there was a time when Medusa was beautiful and sought after by gods and mortal men. What horrendous deed did she do to deserve her ill fate? The ancient scholars of Greek mythology gave us a very enigmatic woman in the character of Medusa. She was one of three who were called the Gorgon sisters. Their parents were Phorcys, a primordial sea god, and his sister Ceto, primordial sea goddess. Stheno and Euryale, Medusa's sisters, were born grotesque monsters with fangs that were sharp and hair that was living snakes instead of lovely tresses. These two were immortals, but Medusa was different. Medusa was mortal and beautiful, with long beautiful hair that caught the eye of every man -- and every man who saw her wanted to possess her. It is not clear as to why Medusa was so different and not immortal like her parents and sisters. Being possessed was not one of Medusa's wishes for her life. 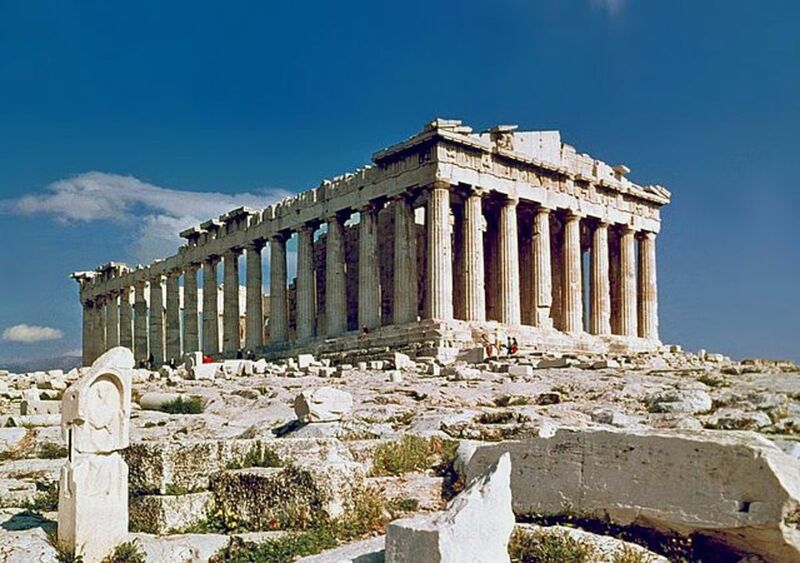 Instead, she chose to become a priestess in the temple of Athena, the virgin goddess of wisdom, strategy, justice in warfare, arts, crafts, and skill. So, it is clear that Medusa had higher goals for herself beyond the life of being part of a family of monstrous creatures and following in their footsteps. She took her vows of chastity in the temple of Athena and most likely would have stayed there her entire life, if not for her glorious beauty and the lustful god Poseidon. Poseidon, of the Olympian pantheon, was the god of the sea. Poseidon and Athena were always in fierce competition with each other and Athena often won due to her intellect and strategy. Yet, Poseidon was powerful in his own right. 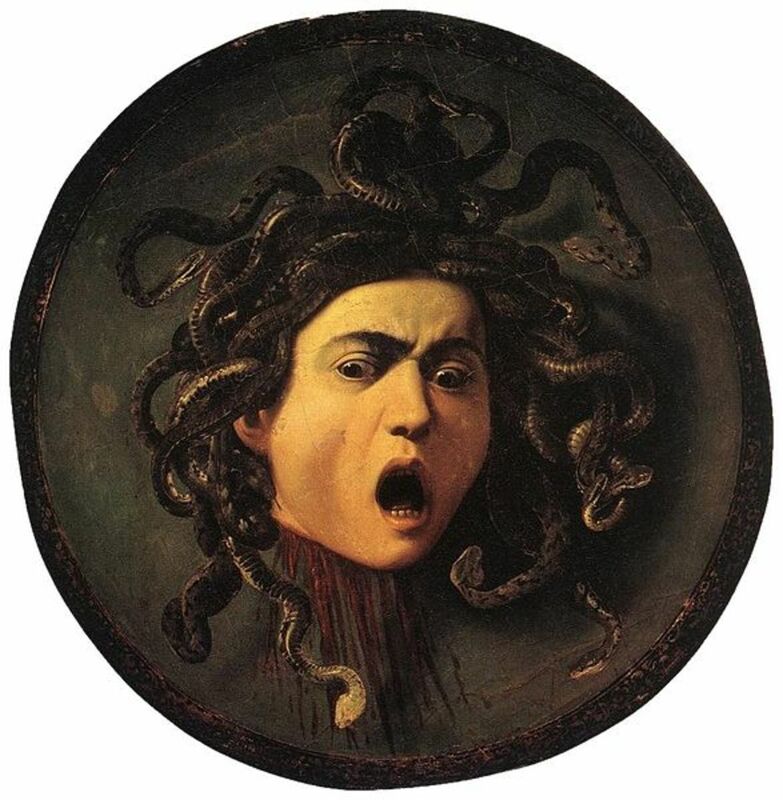 There are different versions of the story of Medusa and how she came to be the monster that she was famous for. The version most often remembered is that Poseidon found Medusa in Athena's temple and forcibly took her virginity from her. When Athena found out about the seduction and desecration of her temple, she knew she could not punish Poseidon due to his powers that could come back on her. So, Medusa, the victim, was punished instead and made yet another victim of cruelty. Athena turned Medusa into a hideous Gorgon like Stheno and Euryale -- and Medusa was banished to the caves where her sisters lived. The journey to the caves where Medusa lived was fraught with peril, yet Perseus made it through. Once within the caves, he searched for Medusa and found her. 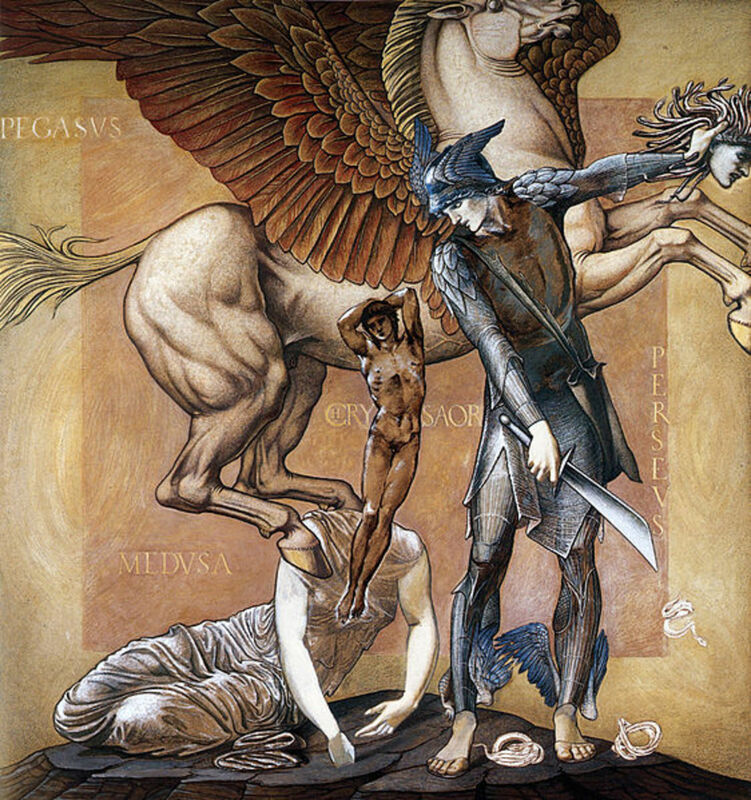 Using his shield to catch reflections, Perseus backed his way to Medusa who lay sleeping. Gauging distance and angles by looking in the shield, he closed his eyes, quickly turned and swung the sword, his aim true and swift. Medusa's head fell and Perseus, not looking at the grotesque thing, put it in the protective sack and fled the caves, with Medusa's sisters in hot pursuit as he flew over the seas. Achieving his quest for Medusa's head, Perseus arrived back on the island of Seriphos on the day of the wedding of his mother to Polydectes. Perseus was just in time to step up on the ceremonial platform. He faced Polydectes and, shielding Medusa's head from all others, pulled the head from the sack. Polydectus was turned to stone, as well as Acrisius who happened to be near and looked. Acrisius had come from Argos for the marriage ceremony, not knowing that his grandson was there to fulfill the old prophecy. Danae was finally free of the men who controlled her life, free to live her life out with her own choices. 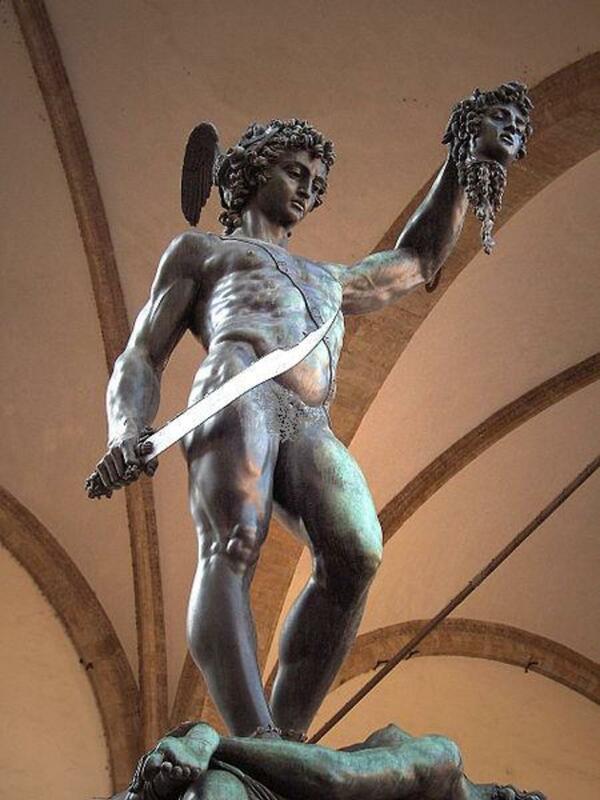 Perseus gave the head of Medusa to Athena, who placed it on her breastplate, as protection in battle. Thank you, Sage. This is very kind of you to say. I am so glad you love the mythology hubs. Thanks for reading and commenting. Love your mythology hubs. Beautiful work here, though Clash of the Titans has forever ruined me for Perseus, I always envision him as Harry Hamlin with that silly clockwork owl. But, this was a beautiful job, thanks for another great hub! Hi Carolyn. 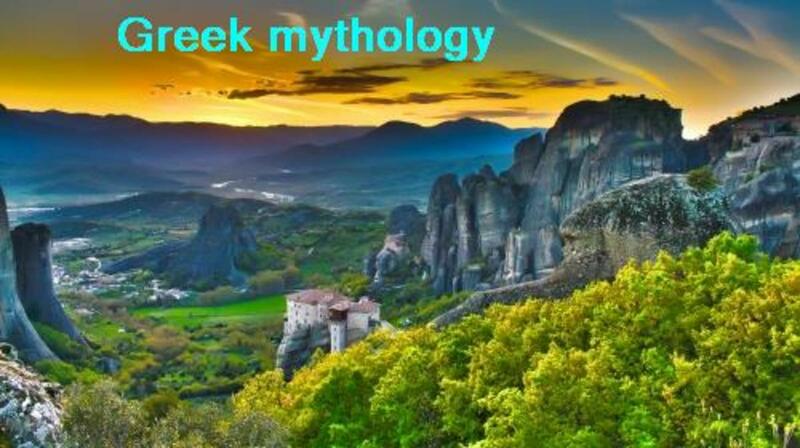 I love mythology, too -- I could easily get lost in a world of gods and goddesses and their legends. Thanks for reading and commenting. Thank you, Frank. I always appreciate your comments and reading, the vote too. Phyllis I enjoy reading these these types of hubs and you gather information seamlessly, voted awesome!!!! This hub has received an 'Editor's Choice' award. Thank you to those who chose my hub for this award. Eddy, thank you for the visit, vote and comment. So interesting and voted up. Mike, thank you so much for your visit and comment. Wonderful and educative hub, Phyllis! Thank you for the visit, James. Very interesting .I was once interested in Creek mythology,especially its Nymphs.